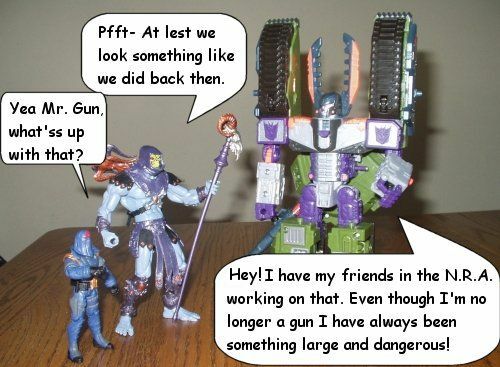 Them Funny Robots #10 "Back from the 80's"
Discussion in 'Transformers Funnies' started by Seth Buzzard, Nov 28, 2005. What motivated you guys to bring this classic back? I saw this first time more than 2 years ago. 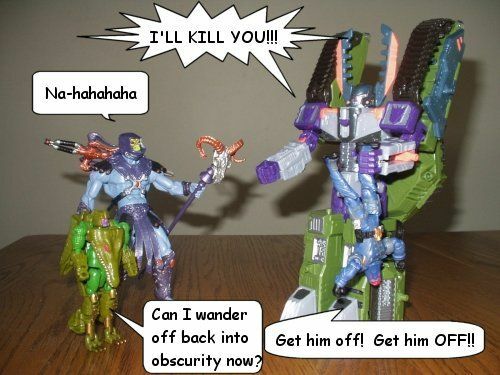 Some toylines are back from the 80's? Calssic! 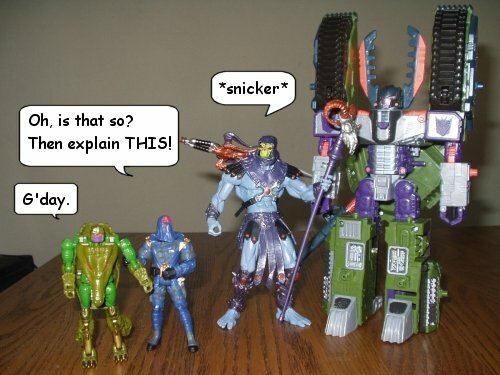 Crocodile Megs sure is small and unimpressive! 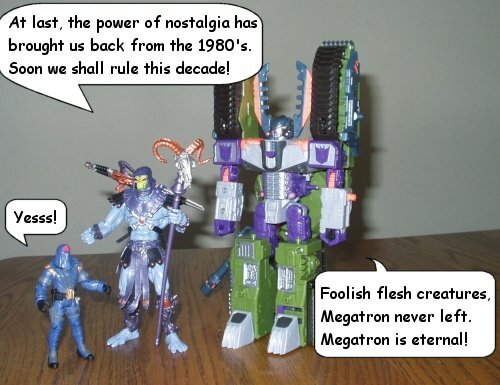 I had so much hope for the Megas/ Cobra Commander/ Skelator team but ran out of ideas for them really quick. Too bad. Do something three stooges' like. My wife really liked this one. She thought the "Megatron is eternal" line was too funny.